One of the best sources of data that ever developed in the Philippines is the Women and Children Protection Management Information System (WCPMIS) software, the WCPMIS has the capability to generate accurate data on child abuse cases. 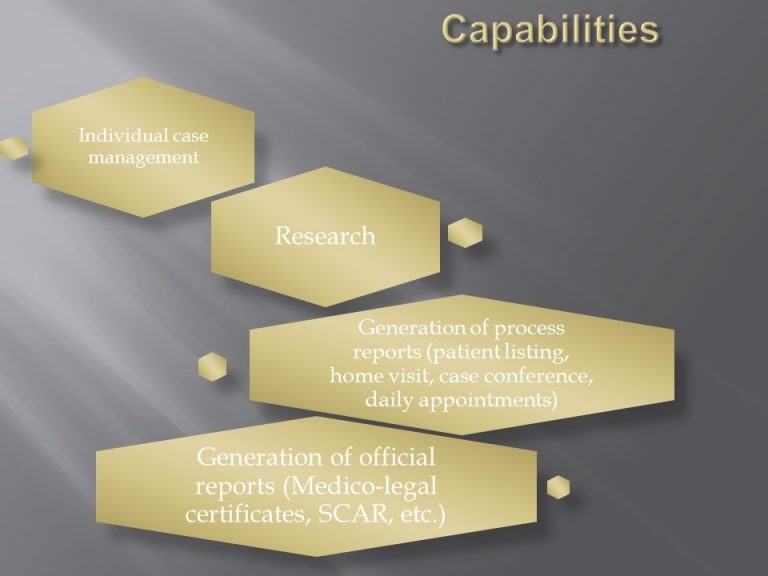 Designed to reflect the case management process, the WCPMIS has also been instrumental in identifying challenges and obstacles in the implementation of services and contributes to the improvement of CPU programs. Through the years, the WCPMIS has also provided valuable information on the magnitude of child abuse and neglect and on trends in child protection. Such knowledge has helped advanced the understanding of prevailing child protection issues by those working in the field. To date, there are 15,399 recorded cases of child abuse stored at PGH-CPU’s WCPMIS server alone.